Are Fireworks a Blow for Liberty? If you take the premise that the Declaration of Independence was “an act of treason,” but also an act to charge the Crown with intentional violations of English rights as seen in the Colonies, the idea of Americans reacting in defiance to government laws they see as unnecessary and as violating their liberty makes a great deal of sense. After all, it is not just a tradition, it is the American character. So WHEN I HEAR REPORTS such as “Lathrop is under heavy bombardment” and other neighborhoods report that the police are being inundated with calls on the night of July 4th, I wonder how many people are simply – even without necessarily thinking about it, taking on a libertarian bent that would have made the framers proud as they essentially protest what they consider to be an over-reaction by the State to the burdensome anti-celebratory fireworks laws? Sure, we get the scare stories every year about the fires and the injuries, but how often are those stats compared to other celebratory activities? Almost never. So we hear that 8,300 people were “injured” by fireworks, but we have no idea of the context of those numbers. Are they all hurt by “illegal” fireworks? Are they all serious injuries? We simply do not know. 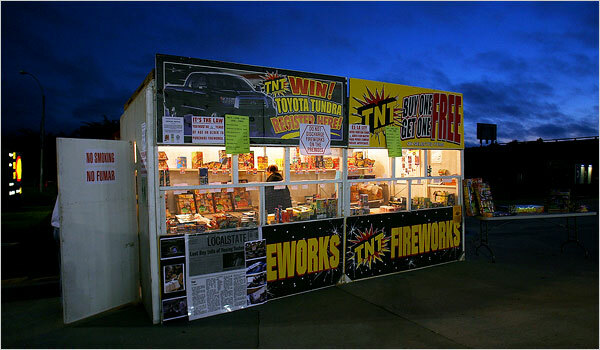 What we do know is that Americans cross the country routinely – despite warnings and threats – ignore the fireworks laws. Are they all criminals, or is there an undercurrent that most of them would not even recognize of the Founder’s faith, firing off exploding in the air? Officially, I am on vacation, but you can let me know what you think about it HERE. Posted on July 4, 2014, in News & Notes and tagged Declaration of Independence, Fireworks, Liberty. Bookmark the permalink. Leave a comment.